Obsidian and Paradox Interactive have just announced a completely new RPG called Tyranny. 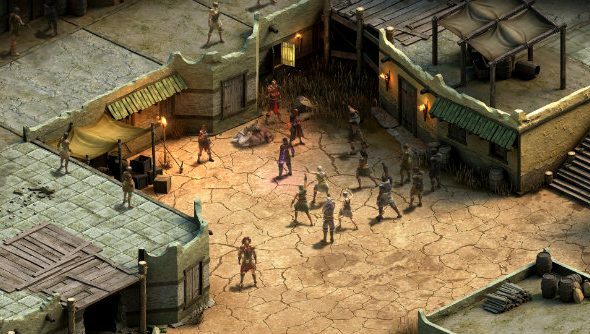 Will Tyranny join Pillars of Eternity in our list of PC’s best RPGs? Tyranny takes place in a world where an invading army has marched into a new land and decimated the local populace, along with your help. In fact, you were a leader for one of the armies. Obsidian said they wanted to find out what choices players would make in a world where the battle between good and evil already played out – a battle that evil won. You are a Fatebinder, and your word is law, so you’ll basically stomp about the place like a fantasy-land Judge Dredd, deciding who lives and who dies, developing a reputation based on your deeds, and shaping the various factions, armies and lands within. It seems like more Pillars of Eternity goodness, but with even more decision making.